Hope you are well and finishing 2017 with a flurry of accomplishments. 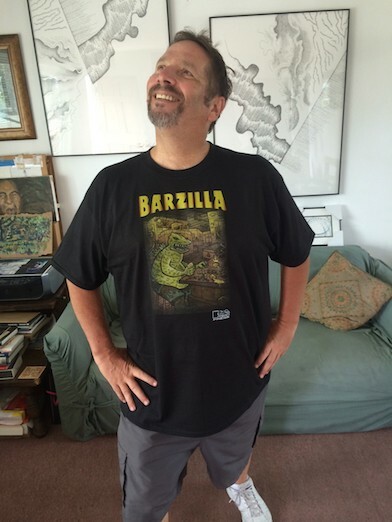 That’s Edwin Decker sporting a Barzilla T-Shirt. We sell these at events. They’re not available on the site but if you desire to purchase one they are $30.00 with free shipping. Hit me on the email: ted@punapress.com to arrange payment and shipping. Horn Dog is a series of zines that now has five issues. 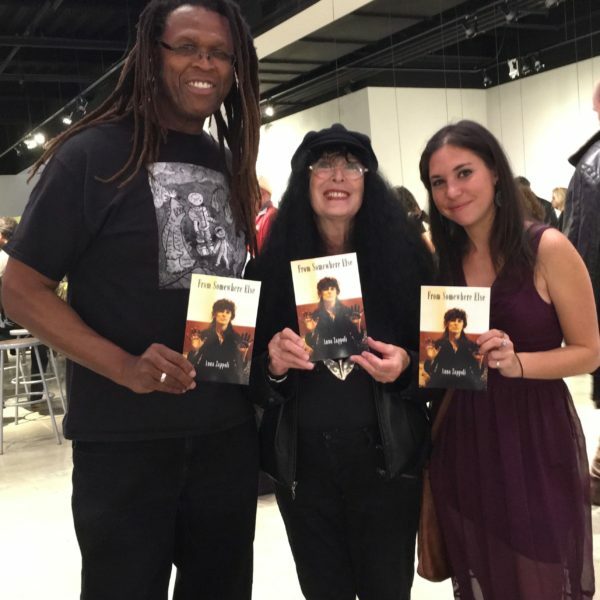 They are available at the Baldwin Hills Library in the LAPL Zine Library. Horn Dog is not available digitally but if you want one or more they are $5.00 each with free shipping. Email me to arrange payment and shipping. It is the season of giving, and books make great gifts. 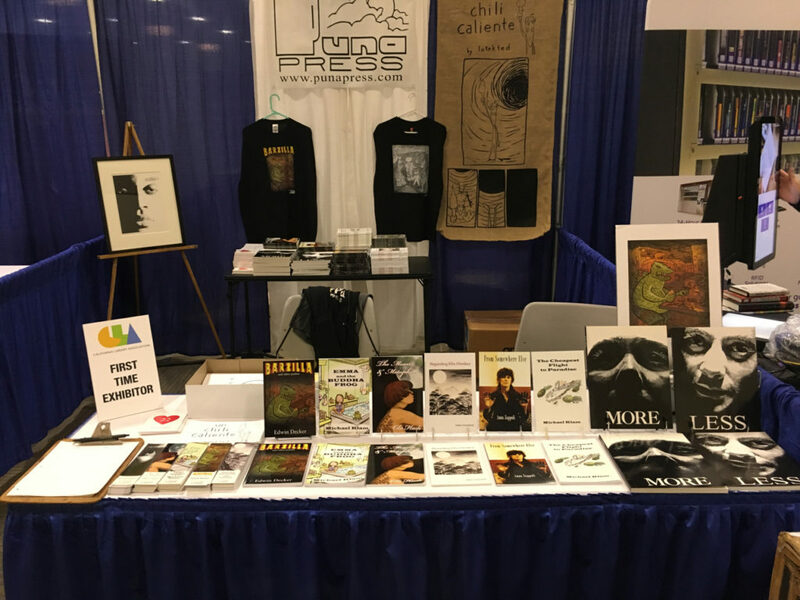 Please consider supporting the independent artists and writers of Puna Press with a purchase.